I have now lived and worked in Batley for nearly five years as a vicar in four fantastic churches. It’s not always easy as you come to work in a new place to meet new people and to make new friends. I think in our communities today we can often be isolated in our own homes or jobs or schools. In my time here in Batley it’s been a huge privilege to meet some amazing people who give so much of their time to help our communities to come together and to learn, work, play and pray together. I am concerned that over the last few years there have been a small number of people and horrific events that have tried to cause division. I have seen though a real resilience from people, organisations and groups to do all that we can to enable our communities to come together and to recognise our differences but remembering that we “have far more in common than that which divides us”. One such person has been my good friend and local imam Irfan Soni. I got to know Irfan pretty much as soon as I arrived in Batley as I went to visit his mosque. I received a very warm welcome and our friendship has grown. We do have differences between us ... he likes a football team in red and I support Leeds United; his favourite food is fish and chips and mine is pizza; he’s a Muslim and I’m a Christian ... but we also have so much in common too which we’ve discovered over the last few years. 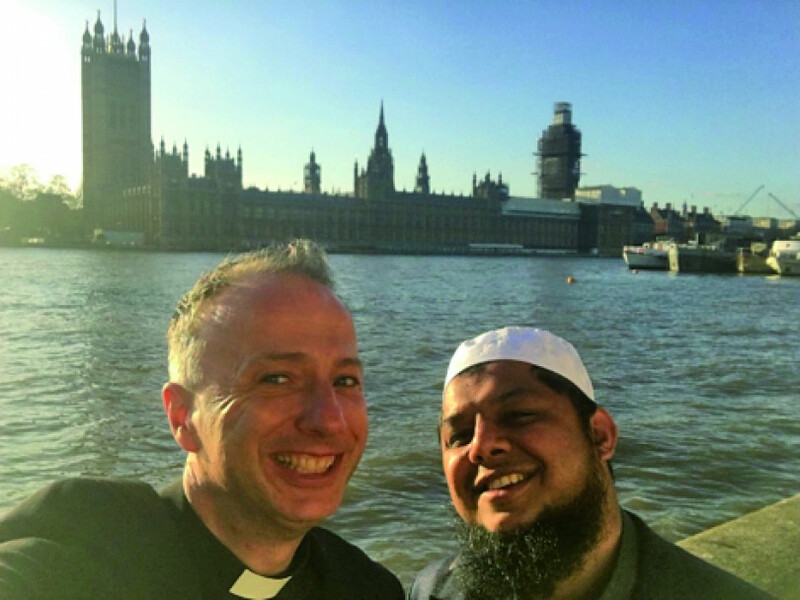 Last month Irfan and I were invited to visit Lambeth Palace – the home of the Archbishop of Canterbury. The Christian Muslim Forum were hosting an event bringing Christian and Muslim leaders who are working well together from across the country to talk, share and learn together. Lord Bourne, Minister for Faith, attended the event and gave words of encouragement to our work. The Archbishop of Canterbury popped in to give a huge welcome to all visiting. We were both asked to share some of the work that we have been involved with together here in Batley and beyond. I’ve valued so much our friendship and working together (and I know Irfan does too) as we’ve supported one another in our community as faith leaders and friends, particularly since the murder of our MP Jo Cox. Our friendship is genuine and supportive – it’s been seen by so many in our community, whether in schools together, in churches and mosques together, working on events organised by More In Common and the Great Get Together, or on social media, as an example of how two Batley people of different faiths (and as faith leaders) can live well together with a true and genuine friendship. An upcoming event Irfan and I are looking forward to being involved in together is the Batley Iftar, taking place on Saturday May 11 in the Memorial Gardens in Batley. So, when we hear stories from friends or in the media that people of difference cannot live well together, my experience is different. It’s been my life’s experience, whether that be living in South Africa for two years, whether working for seven years in a school in East Leeds, or now living and working here in Batley. It’s not just my experience, I hear time and again from people I meet how people of different backgrounds or faiths have supported and helped someone and are good friends. It was only recently that I spoke with a bereaved family who insisted that I mentioned in the eulogy a thank you to their good Muslim neighbours who had supported the family so well in their tragic loss. I know this is not the experience of everybody, but I would say let’s all reach out beyond our fears and concerns ... let’s all see that we can all live well together ... you may also end up with some new amazing friends.